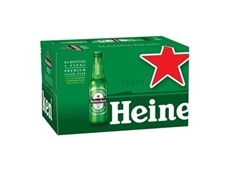 Global beer brand Heineken have launched a new contemporary packaging design across its consumer six pack, and 24 pack varieties. 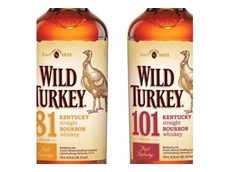 Gruppo Campari, has acquired contract beverage packer, Copack for $20m. Businesses can achieve significant savings in time and labour costs by utilising automated systems in many materials handling applications. If your application is repetitive, potentially hazardous and/or requires high precision, robots may be the solution for increasing cost-effectiveness, freeing up worker for higher-level tasks, boosting safety, and speeding up tasks. Today’s robots can take on a variety of tasks, like welding, painting, assembly, material handling, machining, and preparing foods. They are precise, fast, and consistent, since they do not get tired or require breaks. While early robots were rigidly programmed to repeat actions without variation and with a high degree of accuracy, today’s robots can integrate vision and AI systems which allows flexibility and intelligence to deal with variation. Robotic arms are the variant of robots most commonly found in industrial applications. Their actual function is determined by the type of end effectors installed at the end of the kinematic chain. Effectors can provide gripping, manipulation, welding, painting, and other capabilities. Robotic arms themselves can take four main forms, each of which has advantages and disadvantages which make them ideal for certain applications. Articulated robot arms, commonly used for assembly, diecasting, machine tending, welding, material handling and painting, have rotary joints which are articulated via various means, including motors. Cartesian robots, also known as gantry robots, are used for pick and place work, sealant application, assembly, machine tending and arc welding. These have three linear principal axes which are at right angles to each other. Movements are a combination of x, y and z axes. Due to their precision, Cartesian robots are also used in CNC machines for cutting and milling. 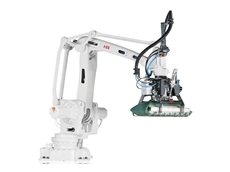 SCARA (Selective Compliance Articulated Robot Arm) robots were developed specifically for assembly, pick and place, sealant application and machine tool handling. These are rigid in the Z-axis, but move around in the X and Y axes with two parallel rotary joints. With jointed two-link arm layout, SCARA robots can extend into confined areas and then retract or “fold up” out of the way. This is advantageous for transferring parts from one cell to another or for loading/ unloading process stations that are enclosed. While SCARA robots are generally more expensive compared to Cartesian robots, they are faster and cleaner, and have a smaller footprint. Delta robots consist of three arms connected to a base. The end effector is kept at a consistent orientation due to the layout of the arms, allowing their use in quickly picking and packaging small and light objects. When acquiring a robot, keep in mind that the deployment of robots can sometimes cost more than the robot itself. Programming robots, for example, can be a costly and long process. Additionally, the tools used by the robots (especially if they are consumables) can add to the cost. To keep a control on costs, be sure to have a good grasp of your application needs, as well as knowledge of any future requirements that the robot might need to deal with. An obvious factor when choosing robots is the number of axes. Two axes allow the robot to move around in a two dimensional space, three axes allow access to depth in addition to plane. Depending on your application, you may choose to limit the number of axes in order to drive down costs, or improve the robot’s speed and accuracy. Knowing the scope of work can also help in deciding on the required working envelope of the robot. Bigger work pieces tend to require a larger working envelope. Keep in mind that a larger working envelope can also be more costly to guard, for safety purposes. The robot’s carrying capacity is another key specification, which is highly dependent on the type of work it is required to carry out. For example, a robot which needs to handle automotive components for welding would need a much bigger carrying capacity compared to a robot charged with populating a circuit board with surface mount components. Compliance is related to payload, but refers to the differences in the robot’s position when it is carrying a payload compared to when it is not carrying a payload. The payload exerts additional forces due to gravity or inertia, which in turn affects the robot. Speed and acceleration are related factors to consider. Over time, speed differences can make a big difference to productivity. Additionally, if your work involves short distances or complex paths with lots of changes of direction, the robot may not be able to reach its top speed, preventing your application from getting the most out of the investment. The accuracy of the robot will have a direct impact on your productivity too. Some applications require higher levels of accuracy than others – if the robot falls short, this could lead to failed batches and reduced yield. Accuracy is physically related to speed, payload, and can also vary according to the robot’s position within its working envelope. While accuracy can be improved by calibration, repeatability refers to the inherent capabilities of the robot, and processes need to be designed to take errors in repeatability into account. Additionally, repeatability is also subject to the accuracy and design of the end effector. Another key consideration is the power source for the robot. Hydraulic robots are suited for applications like spray painting or hazardous areas, where sparks from electric motors can be a safety issue. However, electric motors tend to be faster. Robots can provide a real boost to operations. They are capable of executing repeating, precise tasks quickly and safely. However, a proper understanding of your application needs and the limitations of any chosen robot is critical to ensure the best outcomes from your investment.